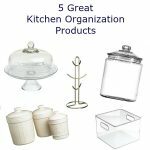 Now that the new year is into full swing, I thought I’d review some of the organizing projects I’ve completed in my house. It’s been a few months since I’ve organized many of the places I use for storage in my home, so I thought I’d think about the organizing I’ve done so far and see what I can do to add more storage and reorganize any messes that might have popped up since my original projects. Now that I’m reviewing some of my previous projects, it gets me thinking that I’d love to organize my master bedroom closet with a beautiful closet organization system. 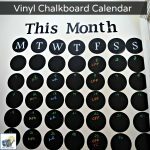 I’ve discovered that EasyClosets has a Spring Home Event: 15% Off Everything or 20% Off $3,000 or more. 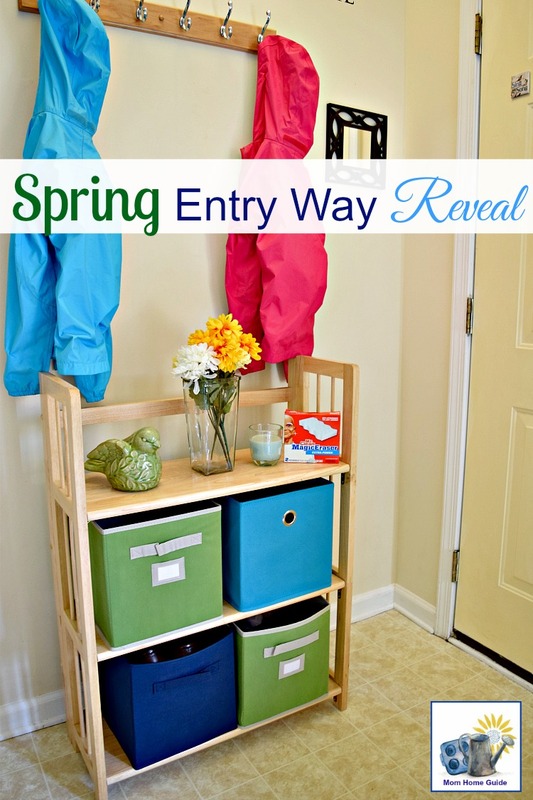 Now would be a great time to get that organized closet that I’ve always wanted! My husband put a full wall of plastic storage shelves in our basement, which are awesome! The shelves hold a lot of the toys that my daughters, now teens, no longer use, so I need to go through everything kept there. I might be able to donate a few of the items stored there and perhaps create much needed storage for my craft and DIY supplies. My kitchen doesn’t have a pantry, but there is a closet a few feet off the kitchen in the family room. 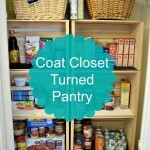 So about two years ago I converted that coat closet into an organized pantry. 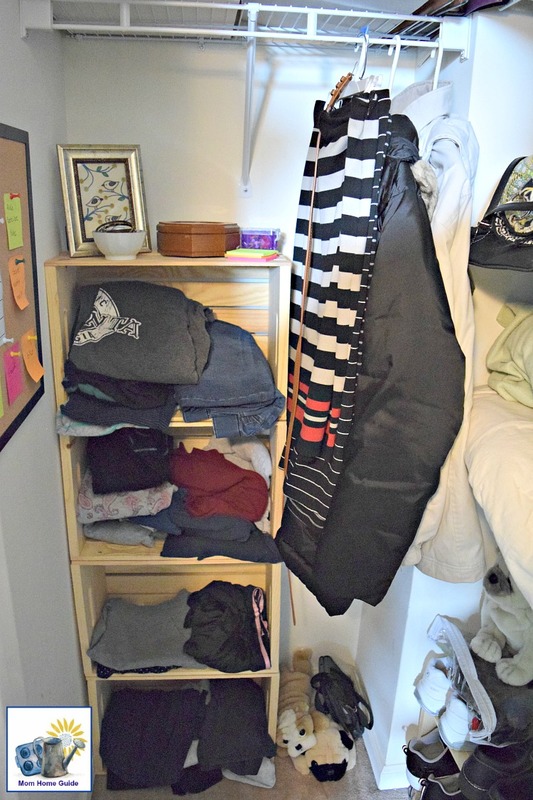 I created shelving by simply screwing a few inexpensive wooden crates together. 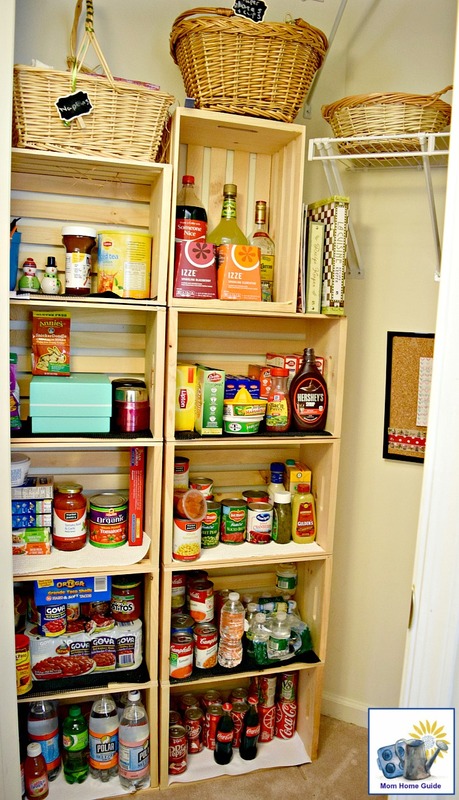 Since I’ve created the pantry, I’ve overstocked it, so I need to get in there and do some more organizing! The master bedroom in my home has a walk-in closet and also a smaller second closet.The second closet wasn’t very useful and had no shelving, so I added some simple shelving with some wooden crates. The crates have given me much needed extra storage in a closet that before only had a single clothing rod in it. My home doesn’t have a coat closet by the front door. So instead, I’ve created a mini mud room area by the front door by adding shelves and bins to store shoes. I also added a coat rack to the wall behind the shelves so we have a place to hang our coats. 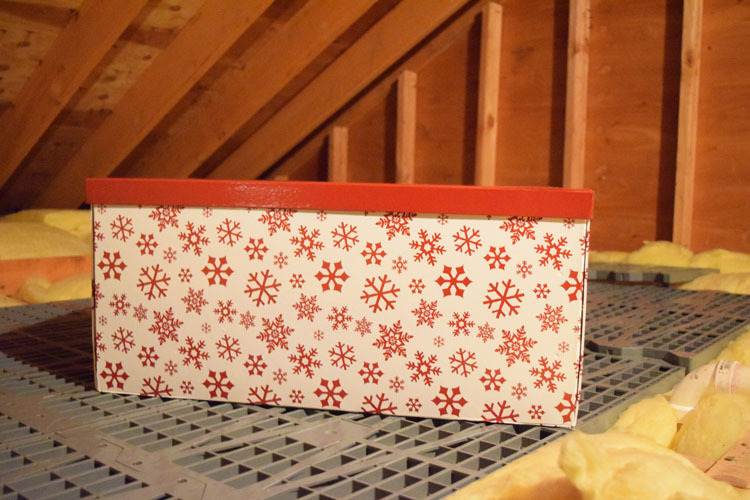 I chose bright colorful fabric bins to add pops of color. 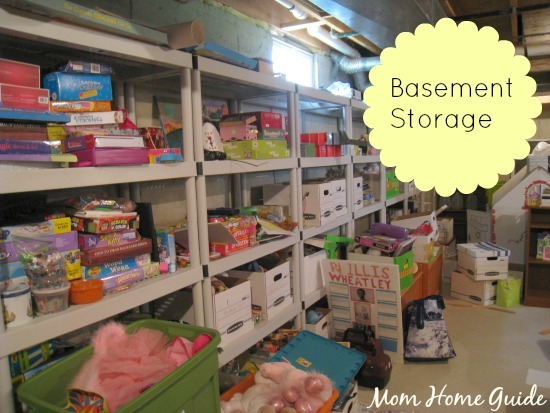 I’ve long wanted storage in my home’s attic, but all we had were rafters and no attic flooring! My husband recently installed some easy to install Attic Dek flooring, and now I have a good amount of attic storage space! 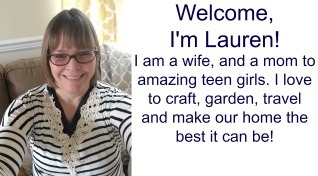 (I received the Attic Dek flooring free in exchange for my review.) All my husband had to do was screw the lightweight but strong Attic Dek plastic grid flooring to the joists in our home’s attic. 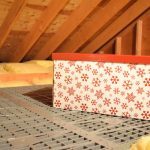 We like the Attic Dek flooring so much that I’ve ordered more Attic Dek panels so we can create more attic storage space. 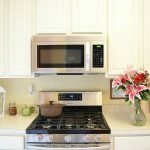 These are just a few of the organizing projects I’ve completed in my home. As you know, organizing is a never ending process, so I still have much to do! 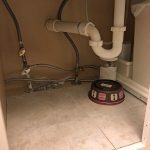 Top places on my list to organize include my home’s laundry room and garage — I would love to create a super organized and neat garage organizing system! You’re right, organizing is a never-ending process. It’s something I’m constantly doing because it’s always an upkeep. I love how you used crates to organize! I really like those plastic shelves you have in your basement. I really need to do something like that so our tubs aren’t all stacked on top of each other. I also love your extra pantry storage!